UW Neurobiology Club is currently recruiting mentors and mentees for the upcoming quarter! 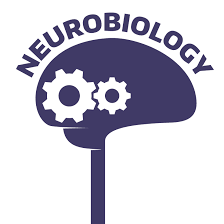 They are a multidisciplinary student group that aims to encourage interest in the field of neurobiology for students and the greater community, while bringing together those with a like interest in the field. If you are interested in learning how to get into the Neurobiology or Biology major, or interested in mentoring others on how to do so, please apply for a UW Neurobiology Club mentor or mentee position using the forms below by Friday, April 12th! If you are a returning mentee or mentor, you do not have to fill out the form again. They are looking for reliable mentors, preferably sophomores, juniors, or seniors, who can ideally commit at least 4-5 hours per month! Mentors do not have to already be in their major! This a great way to gain leadership and mentorship experience; you will work with students/mentees, either one-on-one or in group settings, to serve as a guide on their UW journey and introduce aspiring Neurobiology or Biology majors to campus resources or academic services in order to help them get into their major. If you have any other questions, please direct them to nbiomentorship@gmail.com.